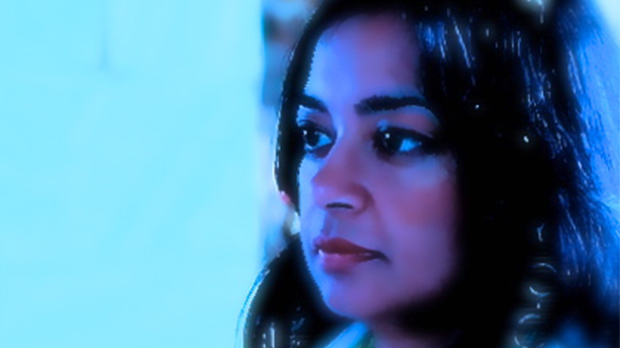 Lina Srivastava combines media, technology, art, and storytelling for social transformation. She is the founder of a social innovation strategy group that has provided project design consultation to social impact organizations, including UNESCO, the World Bank, UNICEF. But she also works as an impact producer with with filmmakers. She has worked on the Oscar-winning Born Into Brothels and Inocente, the 2007 documentary The Devil Came on Horseback, and most recently Who is Dayani Cristal? which screened at Hot Docs, Sundance and New York Film Festival in 2013 and recently won the 2015 Social Impact Media Award. She is also the transmedia producer and impact strategist of Priya’s Shakti, an augmented reality comic book and multimedia project that helps illuminate attitudes towards gender-based violence. She was recently awarded a Tribeca All Access grant for Traveling While Black, which addresses the American story of minorities’ struggle for freedom of movement. Lina is trained as a lawyer and practiced for four years, before transitioning social impact and media. She shares how the transition changed her life, and how she has helped filmmakers create impact campaigns to make real change, including providing clean water for a community in Honduras. Whether you are plugged into the impact metric conversation, or feel alienated by it, this episode of the She Does Podcast is for you. Lina breaks down how to catalyze and amplify social impact through creative media, and she warns of pitfalls she sees in the industry, breaking down unrealistic expectations and pressure put on filmmakers to make change. Filmmakers are feeling more pressure. The impact metrics conversation is very interesting, and I think it’s crucial because the notion of being accountable is really important. It means that we’re much more directed about the way we think about impact, and how what we produce impacts communities. My problem with what we’re doing right now is that too much pressure is being put on filmmakers to do the impact work as opposed to the civil society organizations, nonprofits and the NGO community that already know how to do that. I feel like that burden needs to shift back. There are definitely filmmaker activists, but asking filmmakers to become better activists when they’re not already there doesn’t make a lot of sense. I think it’s more effective to create that bridge between nonprofits and filmmakers. How to measure impact. HINT: It’s not Facebook likes. Impact metrics, how you measure that, has to emanate from the plan. Did you do what you said you were going to do, and what is the impact of that in the community? The notion that the way an audience feels about the content they’ve seen is a metric that we should be measuring in terms of social impact, I find rather troubling depending on what the issue is. In terms of genocide, did people watch The Devil Came on Horseback and feel bad? Probably. Did that do anything? Maybe? Most likely not and actually didn’t. So the question about audience sentiment is secondary inquiry to what is actually happening on the “ground.” And it’s really hard to say whether the number of Facebook likes and clicks that you get is a valid impact metric. Creating community through social media is crucial, but for what? Why do you want people to be part of your Facebook community? Your Twitter community? What is it for? Just getting a bunch of likes, or creating a hashtag? That’s not social change. How the Who is Dayani Cristal? team worked closely with a community to provide clean water in Honduras. We’ve made sure that we’ve been working with the village in the film to help strengthen their development factors. Mark Silver (director of Who is Dayani Cristal?) asked them over a two-year period what they thought they needed so that they could strengthen their own village. They needed access to water, because they were getting water that was not clean two hours a day. They needed to strengthen the school, so that children could get an education. Those basic development factors were not in place. So we raised the money, attached a local partner, and the village has built their own water access system. They just needed the money. They just needed that assistance. They are laying the pipe themselves; 500 people have been working on this. It’s pretty amazing. I’m so tired of people saying, “We’re going to go volunteer and dig wells.” People can do that themselves, often what they need is influencers to change the system a little, to change up those stop gaps. Our local partner down there says, “They are so outspoken now.” Most communities in Honduras are too scared to speak out, but they’ve become very outspoken. Any time you can start changing your own community, by yourself, and know that there are people outside your community who are dedicated to helping, it opens up the desire to speak and the desire to help participate in the change around you. Be aware that your documentary will have a ripple effect. 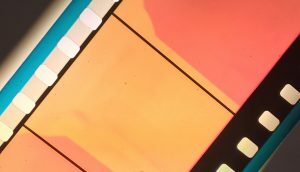 It’s not about your film changing the world. It’s about contributing to a movement. We put too much pressure on single pieces of art. We have to set the cultural stage for change to happen. It’s about funding, cultivating and creating lots of pieces of media. Media that will allow people to have those discussions and those shifts in perceptions towards empathy, will then allow them to go towards that intelligent action. I don’t think you can say one film did anything. There was some newsworthy thing that happened relating to immigration reform and someone tweeted at me, “Wow, is this a result of the fact that Who Is Dayani Cristal? was released in theaters?” And I was like, “no!” No, It’s a film. It’s a film. It’s not about, “oh, now we released this film and the entire movement is going to change.” Not going to happen. It’s about movement. And we’re contributing to that.